Businesses often need to rebrand, and it can be a result of many reasons, including growth, new management, a bad reputation and/or an outdated image. Whatever the reason, it’s important to create a stellar Logo that people will remember. 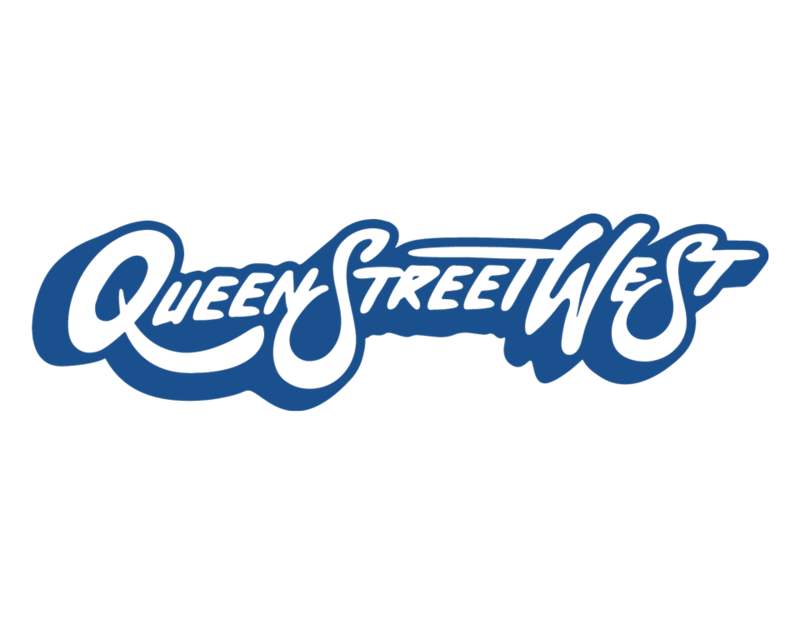 In the fall of 2018 we were hired by the Queen Street West BIA to redesign their current logo, website and overall brand. Set against a backdrop of historic buildings, Queen West has one of the trendiest shopping scenes in Toronto. Toronto’s Art and Design District boasts an extensive array of menswear, vintage, shoe stores and craft and sewing supplies. It’s a goldmine for the fashion-hungry! At night the neighbourhood offers lively patios and bars and a variety of live music ranging from roots to rock at internationally-renowned venues like the Cameron House, the Horseshoe and the Rex. Re-charge with food from around the world at unique restaurants and cafes that are often open late. With art galleries, independent boutique shops, Graffiti Alley, patisseries, fabulous eateries, patios, film production studios and other general awesomeness, it’s clear why outsiders have taken note of this insanely eclectic and hip stretch of businesses and apartments in TO. Toronto’s hippest residents spend their time here, pondering provocative art, philosophizing over artisan coffees, talking business with vintage cocktails in hand, or ducking in and out of the coolest local designer boutique shops selling clothes, footwear, handbags, furniture and accessories. Often compared to New York City’s Soho, Queen Street West is the place to go for trendy dining and nightlife, plus cutting-edge fashion, art galleries, antique shops, and bookstores. The first sign you’ll need a rebrand is the simple fact that you’ve thought about getting a rebrand. Would you like to book a free logo design consultation with us? We offer quality logo design that begins with an in-person brainstorm, pencil and paper. Click to view the new Queen Street West BIA website.